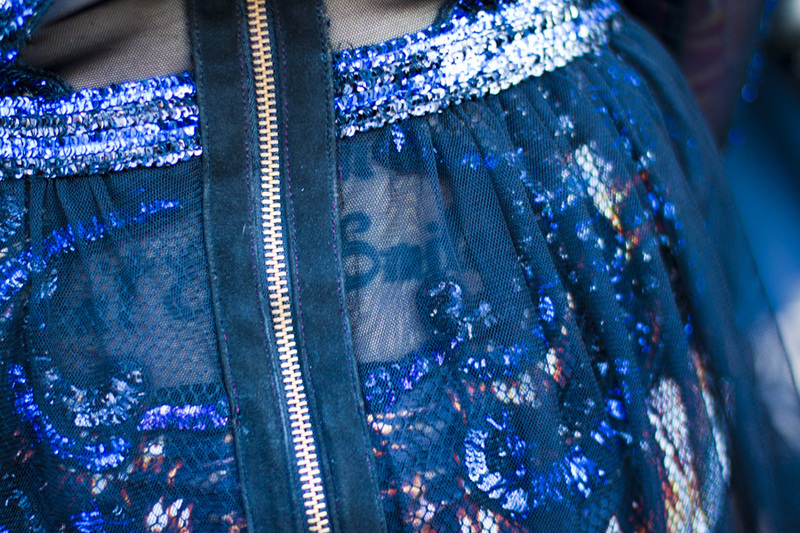 Spotted this rock star backstage at the Falguni and Shane Peacock [FSP] show at NYFW SS2013. The most interesting part about the outfit, which was a FSP outfit, was the strategic locations of all the lace that showed off this girls body art perfectly. A true visual of skin deep layers of art. Makes you want to get to know the layers to her personality too. Lovely dress. Fits her perfectly. But tattoo looks awkward.